It is not known when kākā last bred in the area, after a survey in 2013 revealed the population in the park consisted of only four male birds. Project Janszoon director Bruce Vander Lee said in 2015 four female kākā were released into the park in the hope that they would breed with the existing males to establish a wild population. 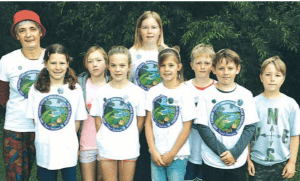 Over the next three years, another seven female kākā were released into the park. In December, Vander Lee said Department of Conservation (DOC) staff got an indication a female kākā had nested. The birds have radio transmitters on them and monitoring showed a captive bred female and a wild male had paired up. They went on to have four chicks. He said the chicks were vulnerable when they first left the nest, often ending up on the ground as they learned to fly. 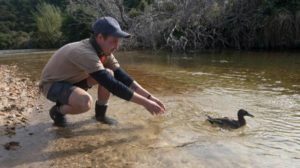 There is a stoat trapping network across nearly 95 per cent of the Abel Tasman National Park and Vander Lee said the nest was found on the edge of an area where aerial 1080 had been used. Additional measures were taken to protect the young chicks, including a section of the tree being wrapped in heavy duty plastic to make it harder for predators to climb the trunk to the nest. Vander Lee said it was pleasing that the wild male kākā had been able to contribute his genes to the population. 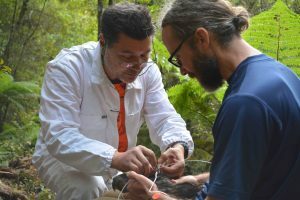 DOC biodiversity ranger John Henderson said the four kākā chicks also had radio transmitters attached to them and since leaving the nest they had been seen flying around the park. Project Janszoon plan to release up to 25 captive-bred kākā in the Abel Tasman this year. 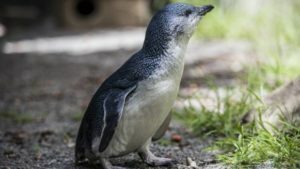 The birds were taken as week-old chicks or eggs from nests at Nelson Lakes and Kahurangi National Parks over summer with some raised at Natureland.